Owner - Stefanie Wiebelhaus Store rating We guarantee that this local shop is authorized to sell this authentic product & brand. 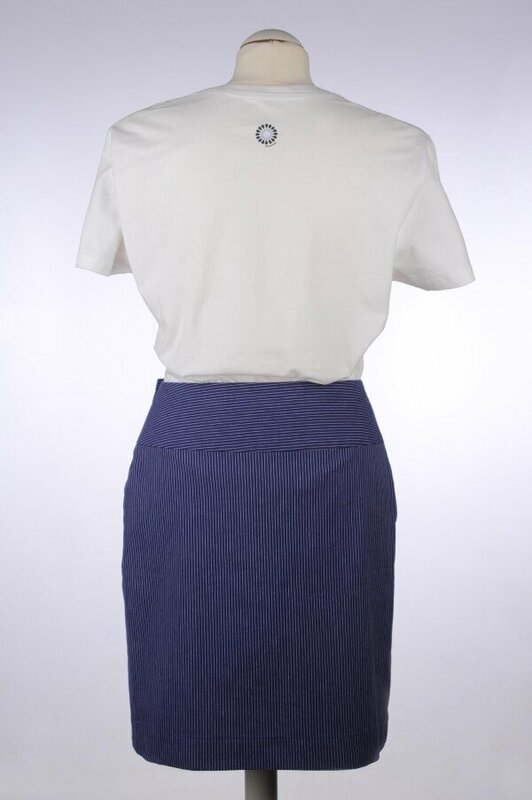 Wrap-around skirt with drapery on yoke (skirt length S = 48 cm). 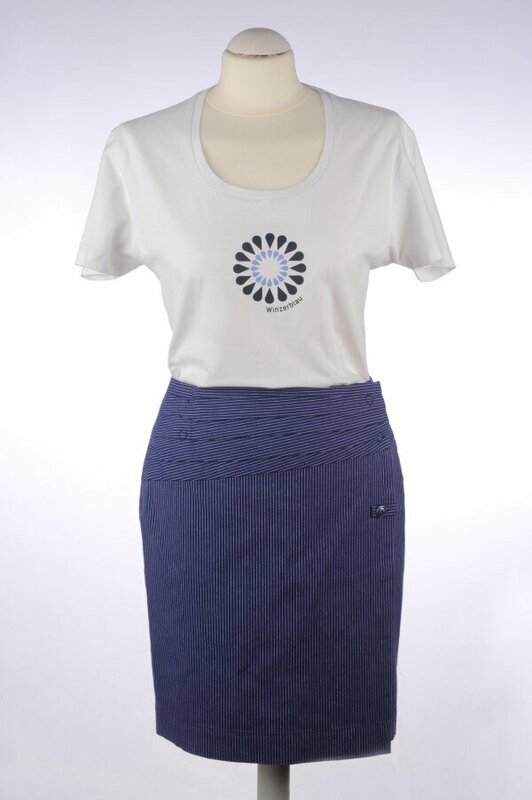 Skirt is lined and easy through the winding size adjustable. Small, exclusive shop in Deidesheim, Pfalz. The Deidesheim fashion label "Winzerblau" has been around for two years now and fashion designer Stefanie Wiebelhaus has succeeded in transforming the traditional copper strip into attractive, fashion-conscious and very wearable shapes for women's, children's and men's outfits. The result is a small series with a lot of attention to detail: Not only the material itself, but also the name itself and the stylised grape seed button speak a clear statement. The collection has been expanded with accessories and shoes. Winzerblau in Deidesheim to your shopping cart.